As we welcome another year, we find ourselves trying to become better persons, not only for our sake but for our dear ones and everyone else as well. If helping out a stranger is part of your resolutions, you might as well start by donating blood. January is National Blood Donor Month! Started in 1970, the annual month-long event is an effort to encourage the public to do their part to help save others by donating their blood. It’s also a time to recognize all altruistic Americans who had volunteered to give blood to people in dire need, including organ recipients, cancer patients, and accident victims. 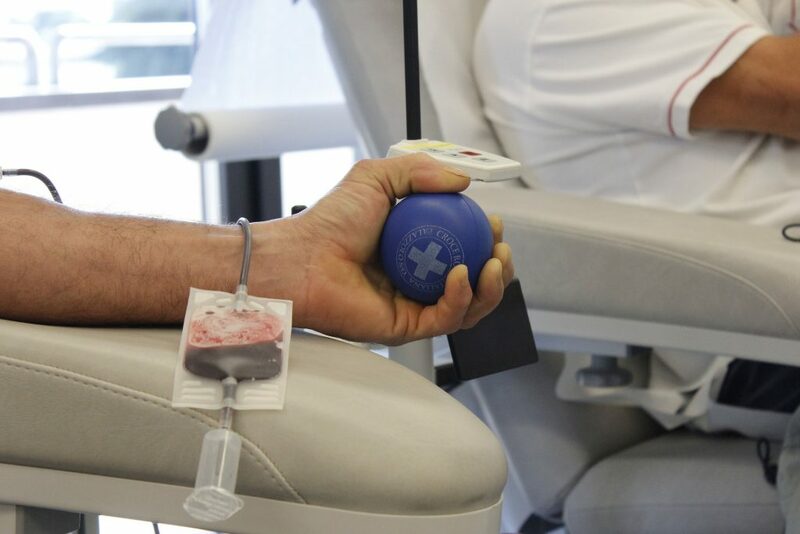 Since winter is a difficult time to collect blood, especially with the extreme weather conditions, blood banks would often be running low in blood and platelets due to many canceled drives. Additionally, seasonal illnesses make it impossible for interested individuals to donate their blood. With these factors, hospitals and clinics are unable to have enough blood products to treat patients. Thankfully, the National Blood Donor Month has garnered widespread attention all over the country. More and more people every year are getting involved, with the goal of helping their fellow Americans recover from their illnesses through blood donation. Type O is the most common requested blood type. Since it’s the only blood type that can be transfused to individuals of all types, Type O is almost always in short supply. In the U.S., only 7% have type O negative blood. Individuals with blood type AB positive are universal donors of plasma. Unfortunately, only 3% of the U.S. population has this blood type. Blood donation is a safe and simple process. It usually takes less than an hour and involves four steps: registration, medical history and physical exam, donation, and refreshments for revitalization. There’s no need to worry about the risk of infection, as sterile needles are used in the process of, and these are disposed of immediately after use. About 6.8 million Americans donate blood every year. While 38% of our population is eligible, only 10% actually donates. Each year, 5 million patients in the U.S. are in need of blood. For every two seconds, someone in the country needs a blood transfusion. Dogs can also donate blood. That is if your veterinarian and the Humane Society would approve. Be sure that you check the rules and regulations first before you take your pet out to save a life. Interested to Save Lives Today? It takes 13,000 blood donations a day to maintain an adequate blood supply, as stated by the American Red Cross. If you can spare half an hour of your time in donating blood to extend the life of at least one person, simply visit the official website of American Red Cross, or download the American Red Cross Blood Donor App to locate Red Cross blood drives near your area. Be a hero today! You Can Help Breast Cancer Patients, Too! If you’re not eligible to donate blood, there’s always another way to make a difference in the lives of others, like donating an old and unwanted car to Breast Cancer Car Donations. You will also personally benefit from your vehicle donation since you’ll get to receive a top tax deduction after your vehicle gets sold. This National Blood Donor Month, if you’re unable to donate blood, then donate your unwanted vehicle instead to us at Breast Cancer Car Donations. Call us at 866-540-5069 and help save lives with your car donation!